Do not throw away the appliances just so you get new ones. Keep as much as them and exchange some for a more energy saving appliances. They need not be pulled down, they can be remodeled with new paint or sand them to its woody look. Varnish them for a glossy finish. Kitchen Cabinets can be refinished by following some diy easy to follow instructions. Use Walabot DIY by Vayyar Imaging that offers you a 3D imaging sensor company which helps the customers to see through objects such as walls, blocks, liquids and materials. 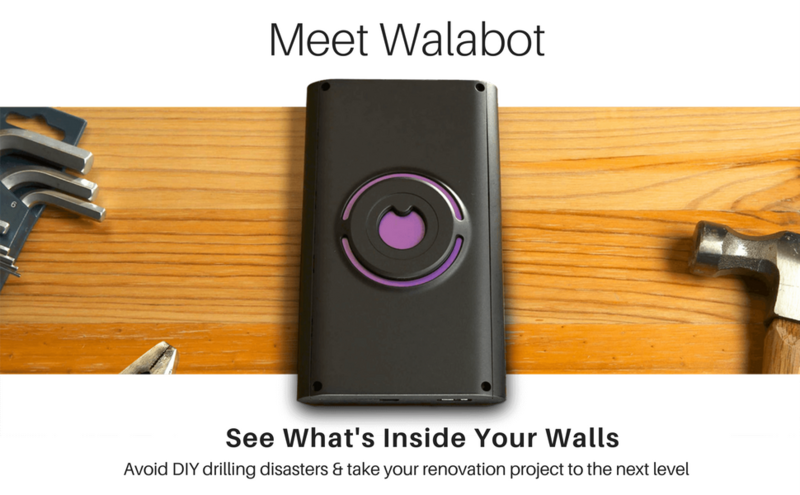 Walabot DIY attaches itself to smartphone via magnet which is supplied in the box to create a virtual image of what’s inside the wall. If you are planning to remove the granite top, you need not go for granite but opt for laminates or other green alternatives instead. A butcher’s wood will also do, that can resist the knives and prevent scratching. Go for do-it-yourself as much as possible. The professionals can charge more when you can do it for almost no cost at all with only having to spend for the materials. Do it slowly as per your convenience. Change the floor only of it is damaged. Instead of going for tiles, choose vinyl to substitute expensive laminates. Vinyl can give the same expensive look as other materials but stays within the budget. Simply changing the handles and knobs of the cabinets and door without any other major changes can also make a low-cost kitchen remodeling. Highlighting the wall of a particular area has its attraction. Choose the sink area or the area near the stove for this highlighting. There are low budgets tiles available to have this done. Change in lighting items like getting a new pendant light as highlight, spot lights here and there, or a simple DIY lighting equipment all will do to give a new look to the kitchen. Also look for some under the cabinet lights which are easy to get. Remove the cabinet doors wherever possible to give an open kitchen feel. The crockery and dishes may be kept open. Also use matching storage boxes to add attraction. Recycle as many items as possible while remodeling. Do not throw away thing without analyzing its prospects as another item. Use the old graters, blenders, dishes etc to make easy to do DIY lighting options. The prospects are endless, so think wise. Do not try to change the position as it can cost a lot more. Only think about changing from an old fashioned sink to a stainless steel one. Stove is also the same, do not change the location. Get a smarter one instead of the old fashioned one for ease to use and for a modern new feel. Get some new paint or use wall papers to liven up, never think about doing an entire new wall as that will cause the budget to sore. Always look for the least costing alternatives to all the items needed. Remodeling need not be expensive to have a brighter finish. Simple items can also add to elegance to any space. You just need to explore more and think many times before zeroing in on.